8K TVs, Apple & Amazon making OTT moves, and making sense of the fractured landscape all led the way at the annual consumer electronics show in Las Vegas. Every year the Consumer Electronics Show (CES) in Las Vegas, Nevada welcomes leaders and innovators from across a bevy of industries. What started as a show for the latest gadgets has transformed into a show welcoming close to 200,000 people from across a diverse set of industries from transportation to television and healthcare to home building. Every year JW Player sends executives to meet with media companies, brands, and other technology firms to discuss what will be shaping the year in video. Apple unexpectedly kicked off CES 2019 with an announcement that a bevy of TV brands would be supporting AirPlay 2 and iTunes. No to be overlooked, Amazon later in the show announced a partnership with IMDb launching a free ad-supported movie, TV service in the U.S., and the new statistic that Fire TV now has 30 million active users. In many of our meetings the question of who would be the impending winners of the “streaming wars” – our point of view has been there will be only a handful of subscription services that win out between Disney, Netflix, HBO, Hulu, and Amazon, but there will still be brands that customers want to watch on their connected TVs*, and those will be relying on advertising to support their content. One thing we do know, the technology that is powering OTT apps, and video across all devices are going to be more important now, than ever before. Measuring who’s watching what, and where? The measurement of streaming services, whether that’s Netflix, Amazon, Apple, or other cord-cutting services was a major topic of conversation both for media companies and brands. Nielsen and Comscore had competing announcements to show their cross-screen capabilities to measure who’s watching what, and where. A great overview of this battle was captured by Axios’ Sara Fischer, which you can read here. Meanwhile, some conglomerates like AT&T, with its recent acquisitions of Time Warner (now Warner media) and App Nexus (now Xander) were putting the pieces together to bypass third-party measurement agencies like Nielsen and Comscore. By using its own data and measurement tools it was going directly to advertisers with the performance-based guarantees and cross-screen measurement. Overall the race to credibly capture an accurate picture of the increasingly fractured viewing environment was top of mind for both brands and media companies at this year’s show. CES is always on to the cutting edge and next big thing. This year, televisions are starting to make the jump from 4k to 8k, while connectivity speeds are going from 4G to 5G. What this means for the industry is still unknown. But with manufacturers pushing 8K pretty hard at CES this year, we can only assume that, at the very least, 4k is the new baseline. 2019 should finally be the year 4k live broadcasts become more widely available. In the vein of rising tides lift all boats, the focus on the next generation for technology will bring even better resolution for viewers for streaming video on connected TVs. While 5G may take a bit longer to come to fruition the idea that 4G is last year’s news shows how far mobile speeds have come, showing an even greater opportunity for mobile video. 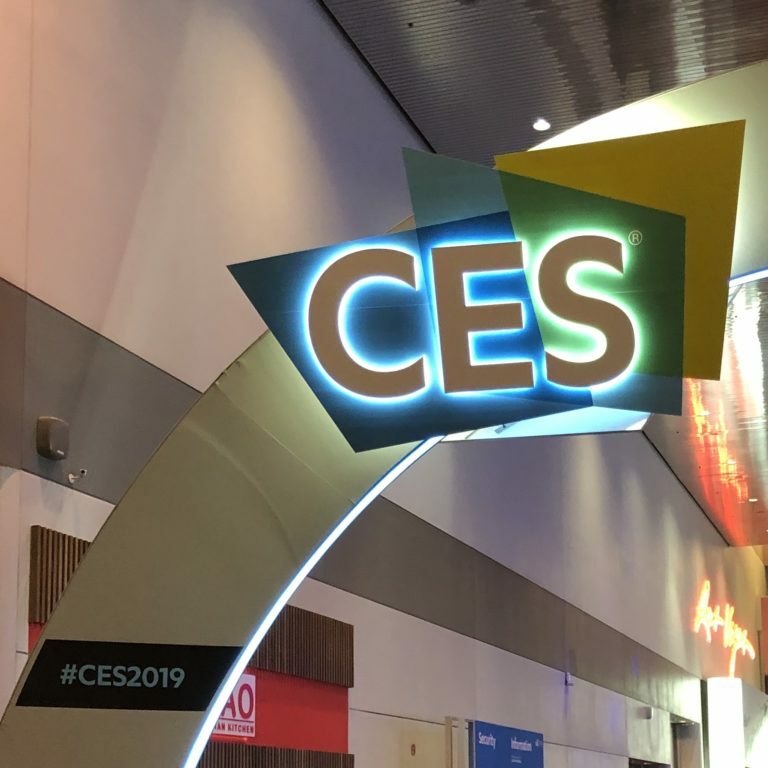 Overall this year’s CES was filled with very pragmatic advances in the media, advertising, and video technology spaces. With a more cautious macro outlook, all corners of the media environment are looking less for hyperbole and more for practicality. We were excited to continue to see the future of video created at the yearly event and look forward to seeing how these trends shape an amazing 2019.